swapped from the Logitech g 810 because it took up too much desk space. 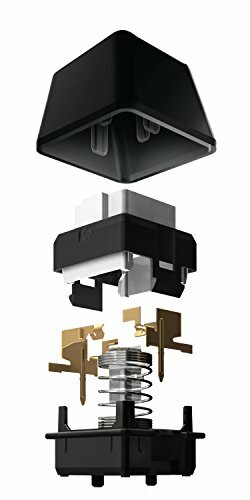 I cant compare the switches because I've never tried the others. I like it... that's all i got. Great keyboard. I use this for gaming and have 0 complaints. Gorgeous RGB. Very fast actuation, love the romer g switches. Compact and very nice lights. Even the scroll lock, caps lock and the game mode button has rgb. I would buy this again. 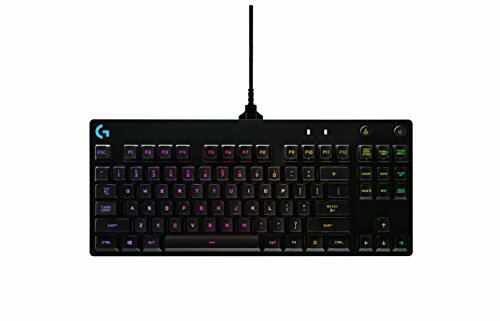 I have a Corsair K70 with cherry mx red switches. 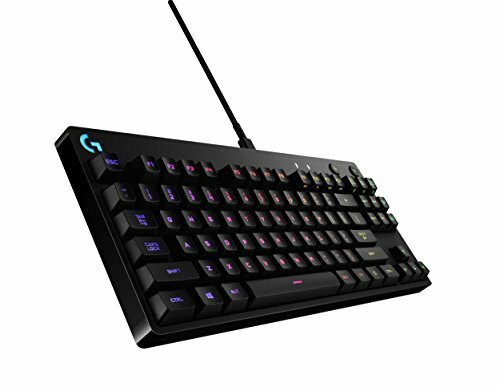 I wanted something with a smaller footprint on the desk and selected the Logitech G Pro for its ten keyless design. Small, compact, it's everything I've asked for. The Romer-G switches are actually very nice and no light bleed outs on the caps. Love this keyboard! Came from a Corsair STRAFE and I won't be going back. Keys definitely feel a bit mushier than the Corsair, however, my WPM has gone way up and it's a lot quieter to type on. 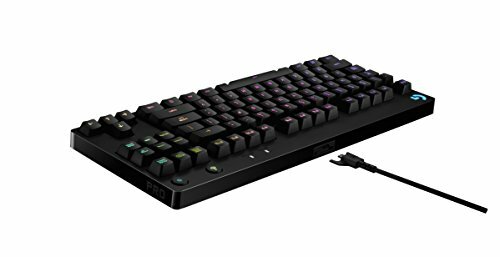 Great for gaming, great for typing!